Hey! I just fixed some issues. Everyting should look sharp and crisp now. Thank you for using my theme. You will love the new YouTube look! Support my work by making a small contribution. This is how YouTube will look like! This is the welcome page for this project, and you get to see it each time you install the addon/extension or you update it. It's just a way of letting you know that I'm still working on this project and you might find this "FAQ" section useful. How much will this addon/extension impact the overall performance and page loading speed? One of the main concerns when creating it was to make sure that there isn't any notable speed delay. 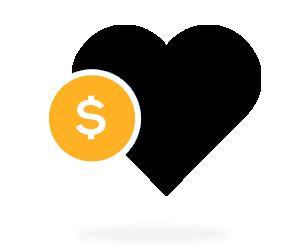 The stylesheet is loaded right before the page is rendered and since it's stored in your browser, it will load much faster than the one provided as default by YouTube. You shouldn't ever be concerned about the performance. Is my YouTube data safe with you? I don't use any kind of tracking in this addon/extension, more than that, the code is publicly available on github so you can take a look at it and contribute to the project if you want to. So YES, your privacy means a lot to me and your data it's safe! Can you change that thing to look like ... ? Sure, your feedback is highly appreciated. Add a comment/issue and I'll see what I can do. Also feel free to fork & submit pull requests! Why doesn't it work in private browsing / incognito? It's a simple feature that can be addded easily but I'm not sure if everyone that's using the theme would want this behavior. If there are enough people requesting it, I can add it with the following updates. Are you planning to make it available for other browsers? 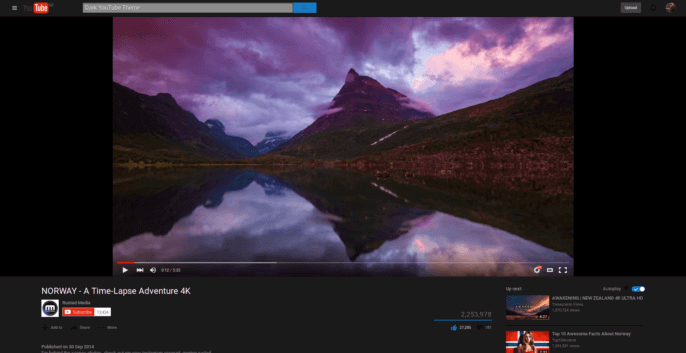 As previously mentioned, this dark YouTube theme is currently available for Chrome but I might port it to other browsers also. How can I disable or remove Dark YouTube Theme? Type in your address bar chrome://extensions/ and click that trash-bin icon that's next to Dark YouTube Theme, from the right hand side column (or uncheck the checkbox if you just want to disable it for a while).